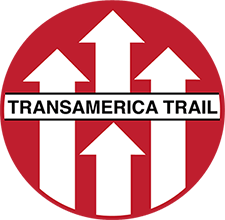 The TransAmerica Trail is the cross-country adventure ride of a lifetime with mostly off-pavement travel. From scenic vistas and unique attractions to rough terrain and challenging conditions, the TAT presents every rider with the opportunity for an unforgettable journey and memories that will last a lifetime. Depending on the weather and location, riders may face challenges including mud, sand, snow, and rocks among others. As the trail is made up of dirt, gravel, forest, farm, and brief sections of paved roads, The TAT may be traversed using either a dual-sport motorcycle or a 4×4 vehicle. Do you yearn for adventure and exploration? Do you love meeting people, making memories, and experiencing new things? 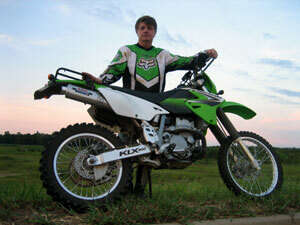 Are you an experienced rider with a love for both motorcycles and challenges? Begin your journey today with the official TAT maps, roll-charts, or GPS tracks available in a bundle or individually in the online store. 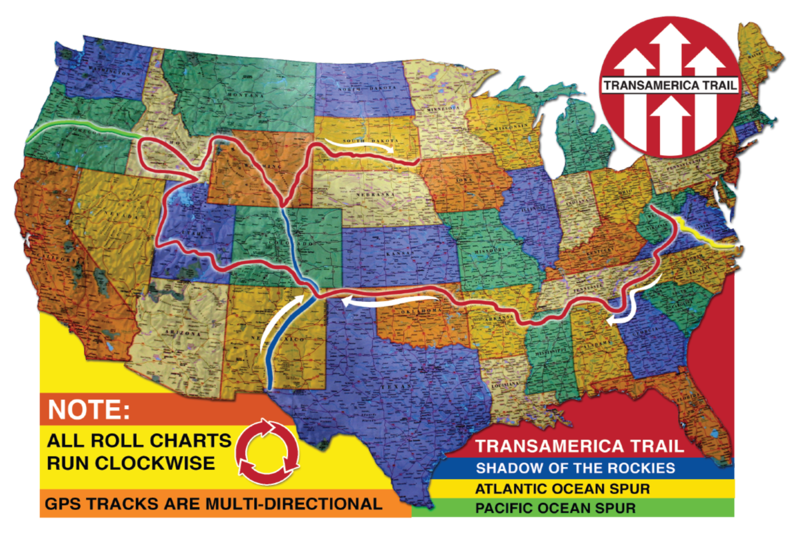 The TransAmerica Trail can be navigated using either a combination of maps and roll-charts or GPS tracks. Roll-charts include easy-to-use step-by-step navigation for clockwise travel, while maps provide additional details including a birds-eye view of the trail and information about stops along the way like dining, lodging, vehicle maintenance, and more. GPS tracks allow riders to easily reverse the navigation. The average TAT rider covers 200 miles per day, using the official navigation resources to plan each day’s travel. Official TAT navigation utilizes public roads almost exclusively, with exceptions for private property owners who have given express permission*, to ensure riders are traveling safely and legally. Sam provides updates as needed to the trail regarding road closures as well as public and private property use. Do you dream of an incredible cross-country adventure? So did Sam Correro. In 1984, Sam followed his passion for adventure and set out with a goal to chart an epic off-pavement cross-country trail. After surveying and covering thousands of miles of ground, studying reams of maps, and detailing his travels every step of the way, Sam created what would later become the official TransAmerica Trail. The trail allowed Sam to pursue his passion for motorcycles, meeting new people, off-road exploration, and so much more. When Sam realized others were interested in sharing his passion, he made his unique trail available and countless adventure lovers have made the journey ever since. To this day, you can still find Sam out on his bike.